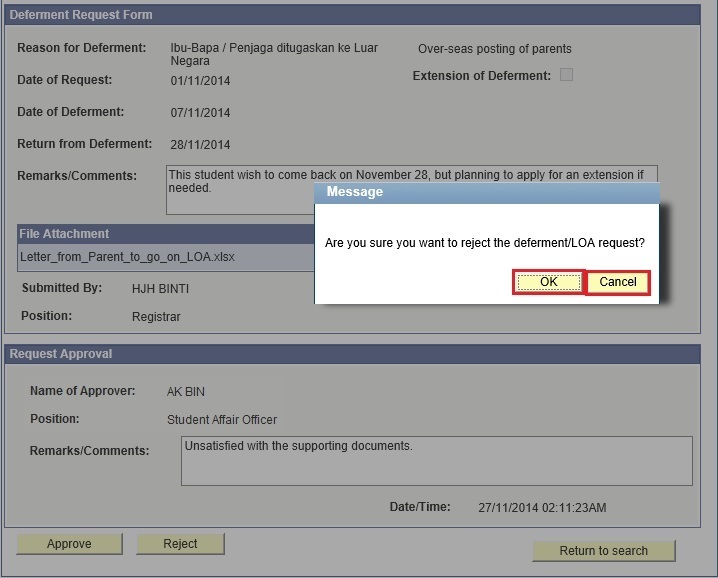 This function allows the users to approve/reject a Student Deferment/LOA Request form. 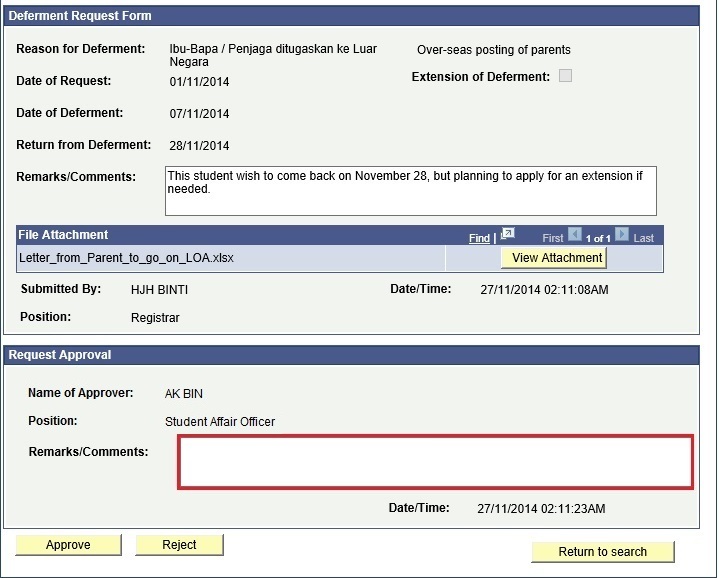 Once the Deferment Request is ‘Routed for Approval’, the Department of Schools will receive an email informing that the submitted request needs processing. 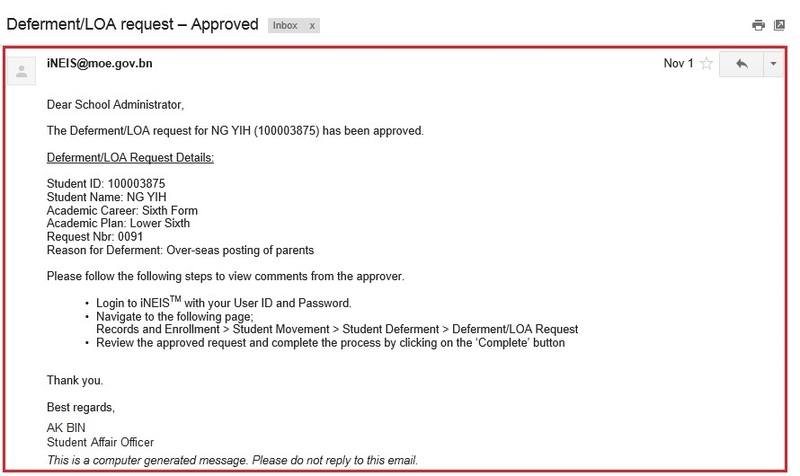 The School Student Registrar, Class Teacher and Principal will receive a copy of the email. 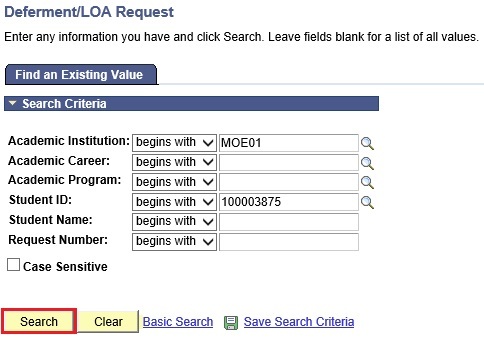 Navigate to Main Menu > Records and Enrollment > Student Movement > Student Deferment > Deferment/LOA Request for DS. 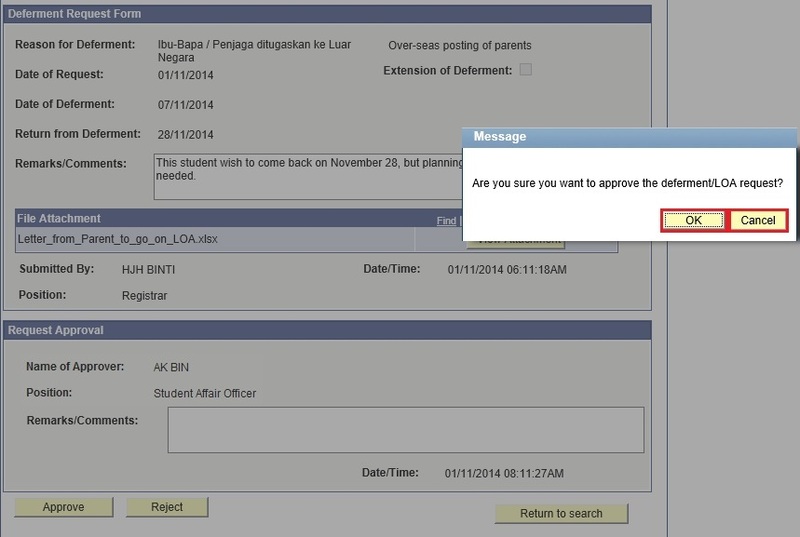 Click on the OK button to approve the Deferment Request Form. 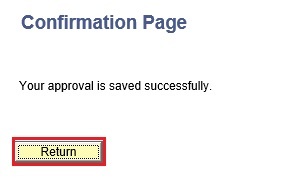 Click on the Cancel button to return back to the Deferment Request Form without approving it. 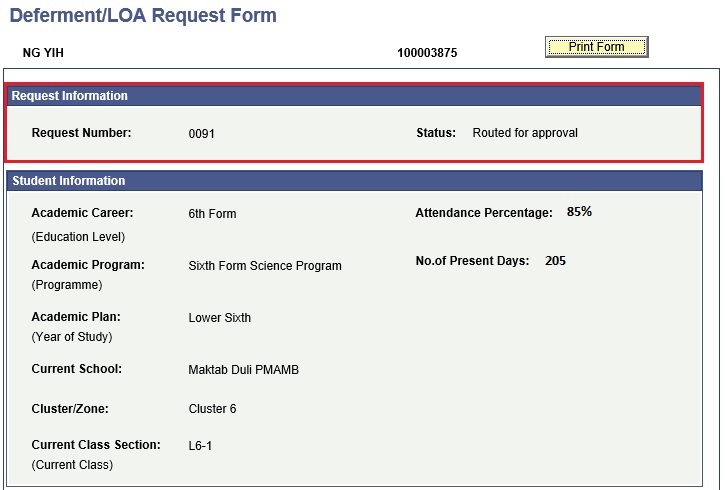 Once the request is successfully approved, the Status will be updated to ‘Approved’. 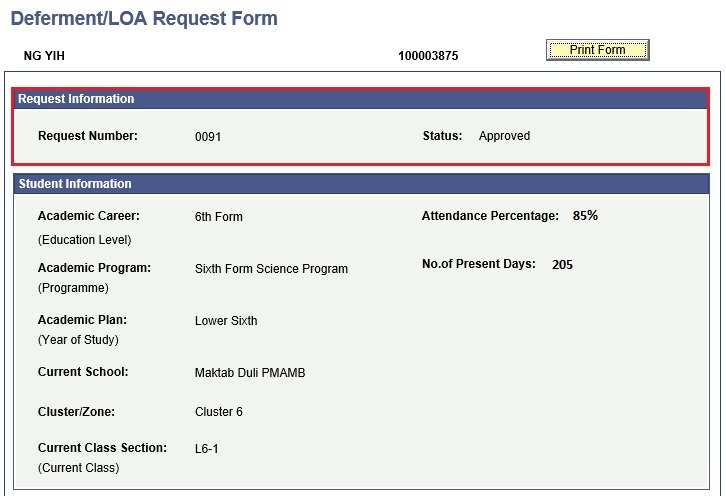 Once the Deferment Request is ‘Approved’, the School Student Registrar will receive an email informing that the submitted request has been approved. The Principal, Class Teacher and Department of Schools will receive a copy of the email. 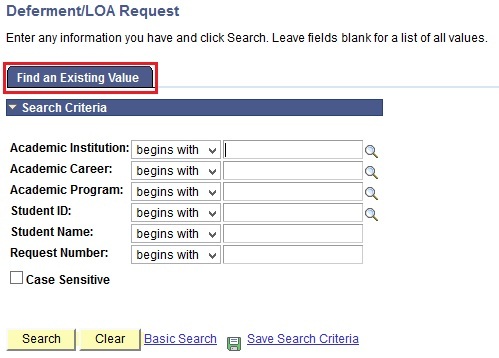 Enter or click on the Student ID look up icon to search for the Student ID. 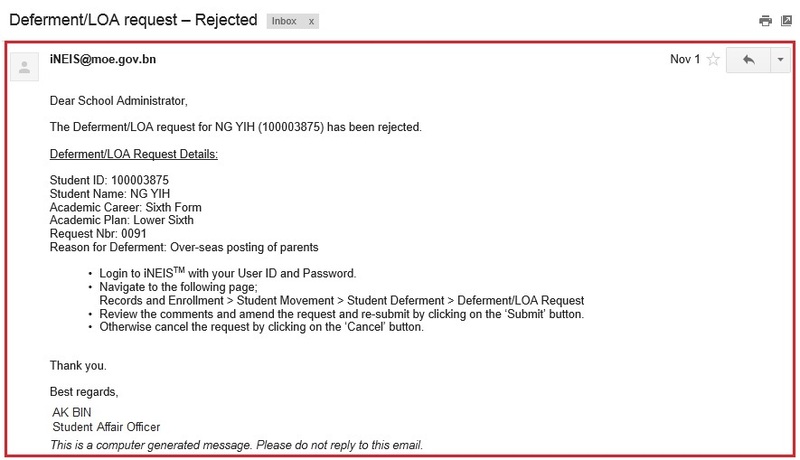 Click on the OK button to reject the Deferment Request Form. 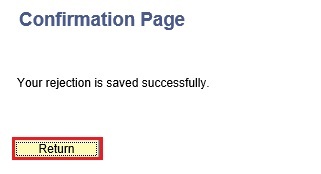 Click on the Cancel button to return back to the Deferment Request form without rejecting it. 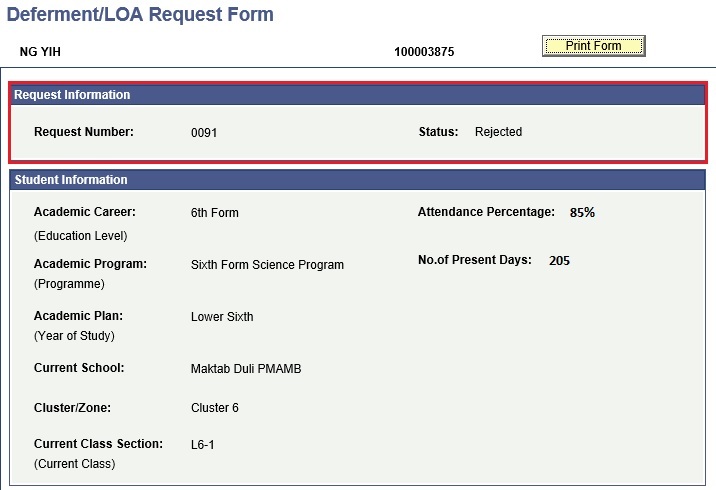 Once the Deferment Request is ‘Rejected’, the School Student Registrar will receive an email informing that the submitted request has been rejected. 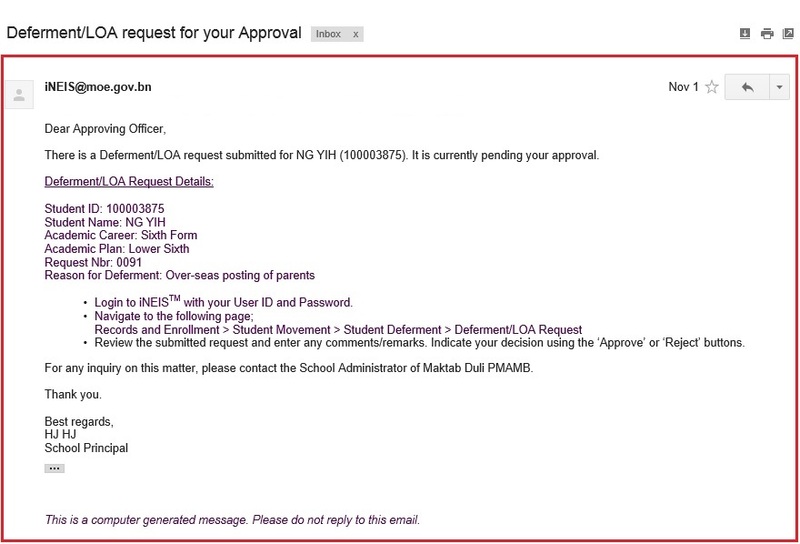 The Principal, Class Teacher and Department of Schools will receive a copy of the email.